The last time I can remember enjoying such a sweet, unassuming voice like Jasmine Ash‘s was when I had (okay, I STILL have) my major crush on Tanya Donelly (Throwing Muses, Belly). Like Tanya, Jasmine’s soaring, airy soprano instantly catches your attention, but instead of throwing wicked rock chords and oblique lyrics at you, Jasmine keeps straight on for your heart with her solo release, Beneath The Noise (co-written and produced by Jacques Brautbar and Sam Farrar of Phantom Planet). Don’t be completely taken in by the charming and quirky style, though; as the album title suggests, there’s more to it than a mass-produced pop method. 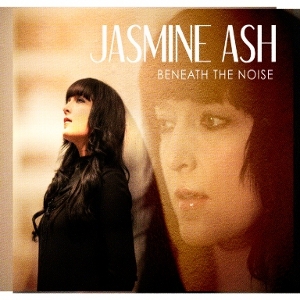 Though many of Jasmine Ash and Oh Darling‘s songs are quite catchy, (some have been featured on TV shows and commercials) the one saving grace of the songs on Beneath The Noise are the lyrics. Jasmine writes just as eloquently about love (“I can’t tell and I can’t take it/I know that I can’t shake you”) as she does about loss (“We’re so in love with what we’ve lost/Everyone goes into their lulls/All these windows open doors”). I’d love to hear these songs stripped of the samples to really feel Jasmine’s full potential.